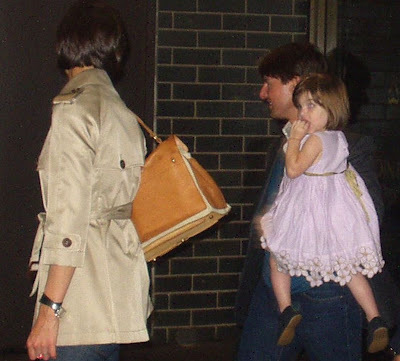 Suri with her parents & grandparents dine at e. baldi restaurant in Beverly Hills on Friday, 30. 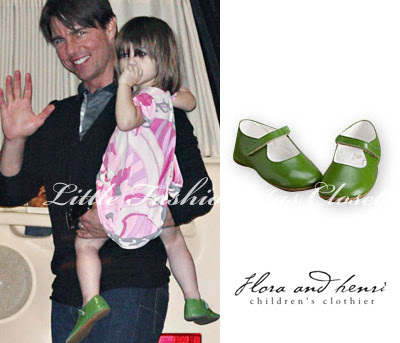 Suri is wearing Green Patent Shoes by Flora and Henri. Thanks to Mandee for the info! Copy-Cat Outfit: Charmeuse Babydoll Dress by Un Deux Trois. 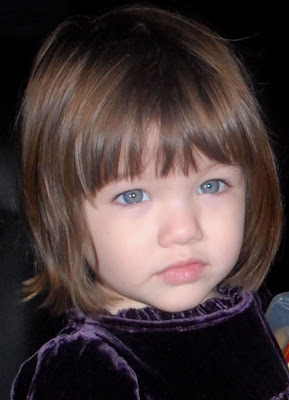 Suri made her second visit to the set of Connor's movie - "Seven Pounds" on Friday, 16. Little Ladies Mary Janes - as seen on Oprah and Suri Cruise! Cute Little Ladies Mary Janes by Monkey-Toes. Cute ladybug shoes for any little girl! 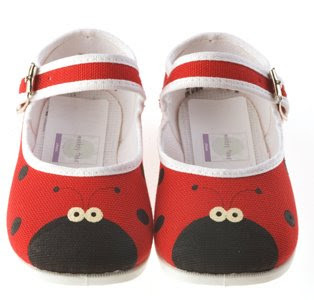 A friend of Tom Cruise's bought these ladybug shoes from Skimbaco and gifted them for Suri. And just recently these ladybug shoes deputed in Oprah show, while she was visiting Tom Cruise in his Colorado home. 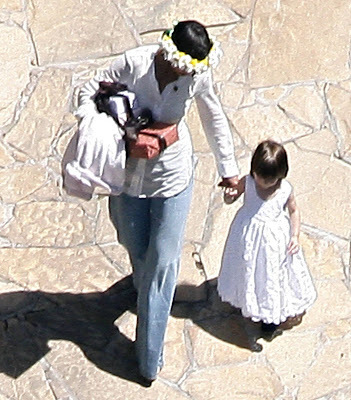 Tom Cruise even mentioned "ladybugs are Suri's favorites" when Oprah picked these shoes and adored them. 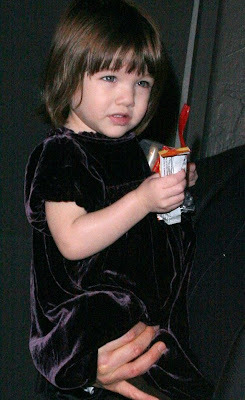 Suri was spotted outside of Margarita Mix Studios on Thursday, 15. Suri is wearing Silk Ruffle Dress by Holmes & Yang. 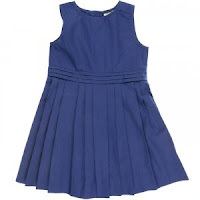 Copy-Cat Outfit: SALINGER Royal Blue Dress by MAAN. Suri visited Connor Cruise on the set of "Seven Pounds", the Muccino's directed movie where Conor plays a young Will Smith. Suri is wearing Tutu Dress by Luna Luna Copenhagen . 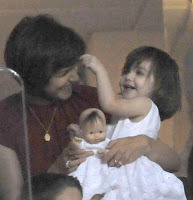 Suri cheering on David Beckham at the Major League Soccer match between the New York Red Bulls and the LA Galaxy at the Home Depot Center in Carson, Calif on Saturday, 11. 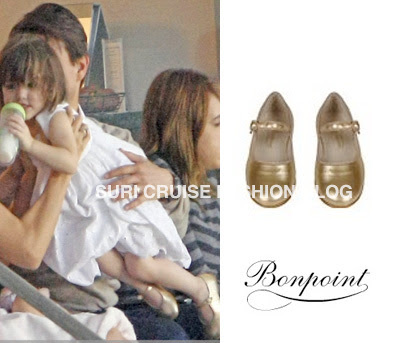 Suri is wearing Gold Shoes by Bonpoint. 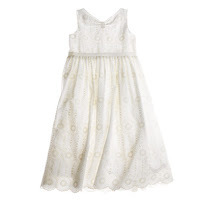 Copy-Cat Outfit: Masako Eyelet Dress by CrewCuts. ...more shopping in NY on Monday afternoon, 5. 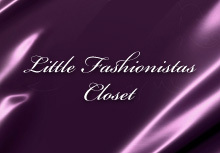 Suri is wearing Hippie Chick Ruffle Pucci Sparkle Dress by Lipstik Girls. ...later in the evening the Cruise Family were spotted leaving NYC. Suri and Katie went for a shopping spree along Madison Avenue on Monday afternoon, 5. Suri is wearing Bain de Soleil Midi Dress by Jacadi. Cruise Family left Manhattan via helicopter from the Westside Heliport on Sunday, 4. Suri is wearing another Pink/White Stripe Button-up Top by Splendid Littles, paired with dark blue jeans. Cruise Family spotted leaving their Manhattan hotel on a Saturday, 3. 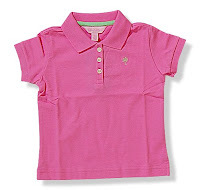 Suri is wearing Pink/Navy Stripe Rugby Tunic by Splendid Littles paired with dark blue jeans. 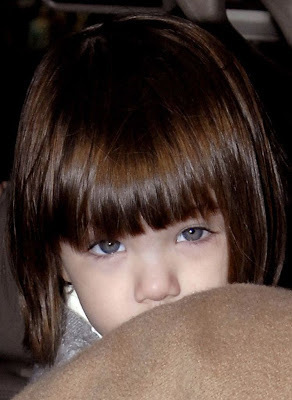 Suri was spotted out in New York on Friday, 2. 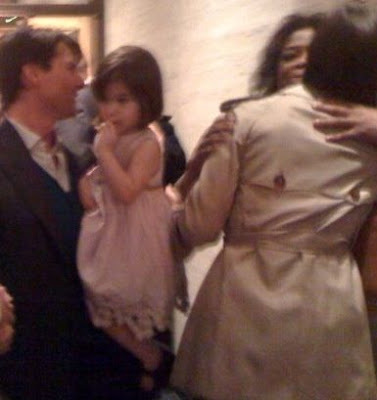 Suri & Katie went to support Tom for the tapping of Oprah show in Chicago on Thursday, 1. Suri is wearing Lavender Flower Embroidered Dress by Halabaloo. 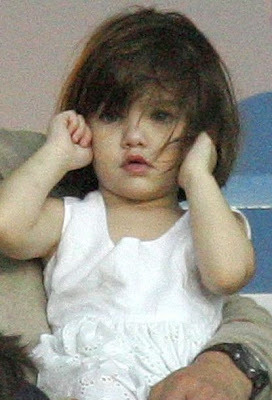 Suri was spotted out with her Nanny on Monday, 28. Copy-Cat Outfit: Lilly Pulitzer Hibiscus Pink Pollie Polo Shirt & Elle Floral Summer Dress. Suri Cruise celebrated her second birthday on April 18 with a party fit for a queen! Her loving parents, Tom Cruise and Katie Holmes, marked the milestone with a $100,000 afternoon party for 24 of their closest friends and family at a home in the Hollywood Hills, which Tom filled with more than $17,000 worth of fresh flowers. Suri joined her dad, Tom Cruise, to enjoy a daddy-daughter day at a Los Angeles park on Tuesday, 25. 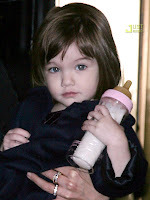 Suri is wearing Paris Sateen Dress from Little Paris line by Janie and Jack. Suri & Tom leaving the Carlyle Hotel and heading for a night in the town on Thursday, 17. 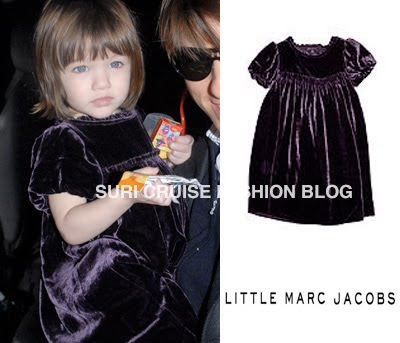 Suri is wearing Aubergine Velvet Dress by Little Marc Jacobs . Cruise Family spoted heading to dinner in De Orsay Reastaurant on Wednesday, 16. 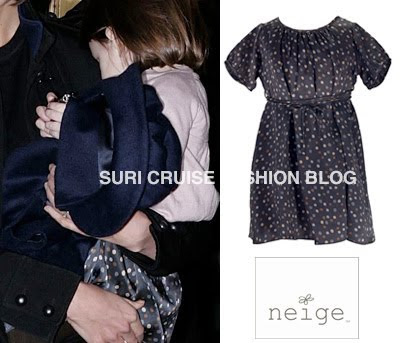 Suri is wearing Silk Kaitlyn Dress by Neige. Suri & Katie were spotted shopping in NYC on Tuesday, 15. Suri is wearing Grey Cable Knit Sweater Dress by Juicy Couture. Cruise Family went out for dinner at Coco Pazzo restaurant and then headed back to their hotel, The Carlyle on Monday, 14. Suri is wearing Red Silk Dupioni Dress by Helena & Harry IV.